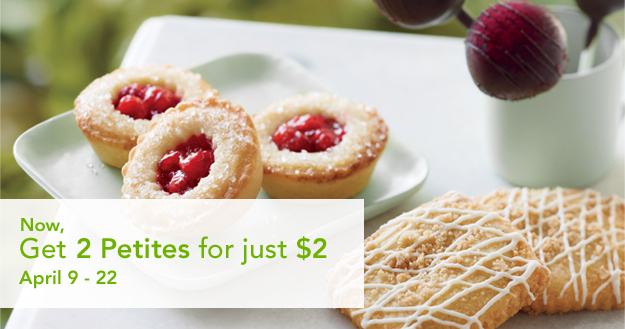 Stop by your local Starbucks and get one of their new Starbucks Petites for only $1 from April 9-22. Choose from Brown Sugar Walnut Tart, Chocolate Hazelnut Tart, Apple Pie or Cherry Pie. If you prefer to stay home, checkout my Starbucks Copycat recipe for Starbucks Salted Caramel Sweet Squares Recipe.